SINGAPORE -- Southeast Asian foreign ministers renewed calls Tuesday for a durable solution of the Rohingya crisis in Myanmar, and affirmed the need to enhance trust to resolve disputes in the South China Sea. 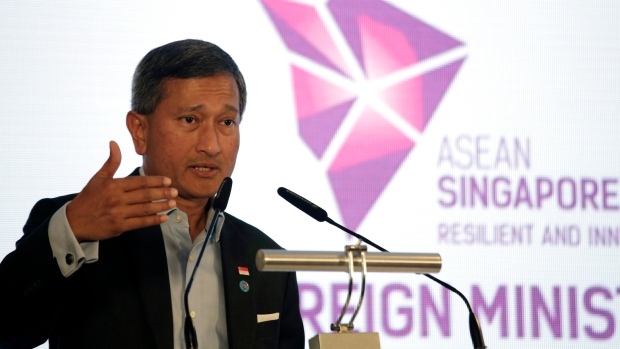 They also stressed the need to find a "comprehensive and durable solution" to address the root causes of the conflict but acknowledged there is no quick fix, Singapore Foreign Minister Vivian Balakrishnan said after the informal talks, the ministers' first meeting under Singapore's chairmanship. 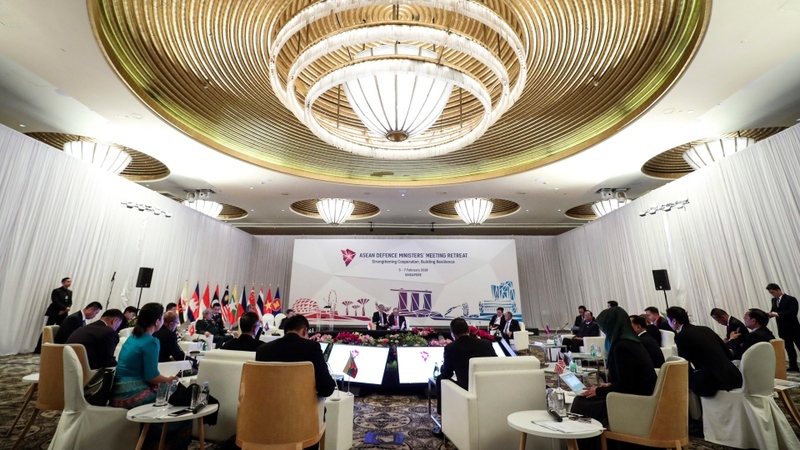 "ASEAN is fully committed to assist the Myanmar government in humanitarian response but ultimately, what we need is a long-term political solution," he said. The Muslim Rohingya minority has been fleeing persecution in Buddhist-majority Myanmar for decades. Renewed violence last year drove hundreds of thousands of Rohingya to seek refuge in Bangladesh. Balakrishnan said some ASEAN ministers voiced concerns over China's land reclamation activities in the South China Sea but they were encouraged by an agreement last year by both sides to start formal negotiations for a code of conduct governing behaviour in the disputed area. Asked if talks will begin in Vietnam in March, Balakrishnan declined to say. "The situation in the South China Sea is calmer now. I believe there is shared good faith and good will from both sides to try to make a significant advance this year. And that is why we should be able to start negotiations soon," he said. He said talks will follow a "mutually agreed timeline," but declined to elaborate. "Building up trust and getting the sequence right and doing it step by step is more important than doing it in a hasty way because there is an artificial deadline," he added. Beijing claims nearly all of the sea and has been turning reefs in the disputed area into islands, installing military facilities and equipment in the area. China, Taiwan and four ASEAN member states -- Brunei, Malaysia, the Philippines and Vietnam -- have overlapping claims in the waterway, which straddles busy international sea lanes and potentially has vast undersea deposits of oil and gas. Balakrishnan said the ministers also focused on charting the way forward for the 51-year-old grouping based on Singapore's chosen theme of "resilience and innovation." He said they supported Singapore's proposal to develop ASEAN smart cities that will leverage technology to improve people's livelihood, and to boost their resilience against terrorism and trans boundary crime. 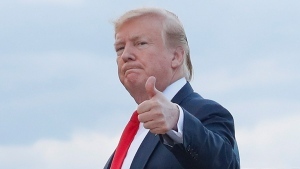 "We want to ensure that all of us continue to invest in our infrastructure and our people, enhance our connectivity and ultimately to secure peace and prosperity" in the region, he added. ASEAN was set up in 1967 as an anti-communist bulwark but attention has shifted in the last two decades toward greater economic integration.